Schools are really important to us here at American Playground Company. We give our all to create playgrounds that make children happy and healthy. While we are able do this through our Playground Heroes, today we’re celebrating another kind of superhero: Teachers! Today is National Teacher Day, and the National Education Association and National PTA have teamed up to honor educators across the company. This day of recognition was established in 1984, and is observed on the local, state, and national level. We’ve found a few resources to help you get involved and let that special teacher in your life know just how much they’re appreciated. The PTA has partnered with GoFundMe during National Teacher Appreciation Week to help raise funds for classroom activities. Teachers, students, or parents are all able to set up an account in a their favorite teacher’s name to raise funds for field trip fees, school supplies, and other needs. To make things even more super, GoFundMe will match $100 for each account that reaches $100 worth of donations from at least five unique donors by Friday, May 13th. The special PTA accounts are available to be created until Sunday, May 8th, and must include the hashtag #ThankaTeacher in the description to be eligible for fund-matching. The National PTA has put together a very useful Pinterest board full of clever gift ideas. Among the highlights from their blog are a homemade cell phone case project and a trio of apple dip recipes for a classroom snack. Their Promotional Toolkit also shares links for free, printable thank you cards and fliers! Raise awareness about National Teacher Appreciation Week on social media! Share pictures and activities of how you’re celebrating and use the official hashtag #ThankaTeacher to get noticed! On Thursday, May 5th, the National PTA has invited everyone to join in by posting a Throwback Thursday post of their favorite teacher, as well. This award is the highest honor given by the organization, and is meant to recognize teachers who tirelessly devote themselves to the well-being of children. Presenting this award to a teacher at your school will foster goodwill among teachers, parents, and the community. National Teacher Appreciation Week isn’t the only special time of year that America recognizes and raises awareness for educators. Mark the week of November 14th through 18th on your calendar for American Education Week. This entry was posted in Main on May 3, 2016 by American Playground Company. Earth Day 2016 is coming up next week on April 22nd, so today we’re completely focused on trash! It might sound gross, but we’re not just talking about any old trash. We’ve taken a closer look at everyday household items that would normally go straight to the garbage bin after their first use, and we asked: Can trash actually be turned into treasure? In the spirit of environmental stewardship, we’ve compiled a list of products that the average household tosses just about every day that are actually super easy to upcycle into fun arts and crafts supplies for your kids (or yourself)! Old paper - I think we can all agree that junk mail is the bane of our existence when it’s time to check the mail. Well, we’ve finally found an actual use for those catalogs, coupons, and sale papers - to make more paper! While it might sound ironic, paper-making is actually a hands-on educational project for kids. It also presents a real-life example of how old things can be made into something new. Tinker Lab has our favorite how-to tutorial for easy paper-making. Milk Jugs and Soda Bottles - Sensory Play is extremely important in the cognitive development of young children as they grow. While sensory stimulation can come from many sources, nature is rich with element that help children develop keen eyesight, touch, smell, and hearing. Creating a “Water Wall” outside is just as entertaining as it is developmental. The best part is that you can complete this project with your kids using completely recycled materials. Just save up those milk jugs, orange juice bottles, and two liters that usually go straight to the trash can. Our favorite part of the tutorial above is how each piece is left flexible to twist and turn. Egg Cartons - While there are literally endless arts and crafts applications for empty egg cartons, our favorite project that’s perfect for spring is called egg carton flowers! This project, from Kitchen Counter Chronicles, does require having some other arts and crafts supplies already on hand. However, we challenge you to think of what items you can recycle to substitute for some of the materials on the list. Bottle Caps - If you have a ton of those random little foam shapes leftover from scrapbooking laying around, you’ll love this project we found at A Little Learning for Two. Just glue a shape onto the flat side of a bottle cap, and voila! You just made a brand new stamp. If you’re fortunate enough to not be hoarding these little ghosts-of-projects-past somewhere in your house, cutting shapes from leftover cardboard works just as well! Glass Jars - Empty glass jars from common food products in your refrigerator are great for crafting makeshift maracas for children. (We’re looking at you spaghetti sauce bottles and pickle jars.) Just fill them with small items like beans or beads, and make sure the lids are secured for small children. If you’re looking for a more involved project, we also found an inventive “Glass Jar Lantern” idea. Bonus: this project is the perfect opportunity to reuse tissue paper from birthdays or Christmas. Cardboard - Old cardboard boxes can come in handy for an on-the-fly arts and crafts project on a rainy day. Haven’t you ever wondered why kids sometimes enjoy playing with the box more than the actual toy that came inside of it? Playing with an object like a cardboard box unlocks the imagination and creativity of a child’s mind because it engages them in something called non-literal play. Non-literal means there is no direction or pretense of what the box represents. It can be whatever the child imagines it to be, and that’s the beauty of it! Bubble Wrap - It’s hard to imagine using bubble wrap for anything besides stress relief, but the Hands On As We Grow blog has come up with this brilliant arts and crafts application: bubble wrap printing! Just add paint, and let the kids go to town making patterned masterpieces. Styrofoam - In case you didn’t know, styrofoam is a 100% non-biodegradable product. All the styrofoam that makes it into our environment will stay there. Forever! So if you absolutely cannot avoid using a styrofoam product, we’ve found some fun ways to upcycle it at home. Flat pieces can be used as a makeshift weaving loom for toddlers. Just make small indentations on the sides, and weave string through and across. Hands On As We Grow also makes a building game out of styrofoam blocks, a play hammer, and golf tees. Not only will these ideas save you time and money, you’ll be setting an example for your family on how to live a sustainable lifestyle. Do you already have a recycling ritual in your household? We’d like to hear from you! Drop us a comment, or tag us on social media to show off your conscious crafting. This entry was posted in Main on April 15, 2016 by American Playground Company. American Playground Company is excited to announce the launch of our new and improved website! Our redesigned pages are easier to navigate, and ordering brand new playground equipment is just a few clicks away. With our new “Account” feature, you can save your personal information, track existing orders, leave product reviews, adjust email preferences, and create a wishlist for future orders. Saving your information makes online ordering a breeze. By saving your shipping information, you allow our website to do all the work for you during the ordering process. Our newsletter will update you on new products, as well as sales and promotions that can save you major cash in your budget. If you’re not sure which equipment is right for your budget, we’ve made it easier than ever to request a quote online. By clicking any of the “Request Quote” buttons on our website, an electronic form is sent directly to our home office in McKinney, Texas. Our staff has over 20 years of experience to make all of our customers a #PlaygroundHero! Whether you’re updating, expanding, or starting from scratch - our knowledgeable and friendly staff can give you the super powers to make a conscious, informed decision when it comes to purchasing new playground equipment. Take your first step to becoming a Playground Hero with us! 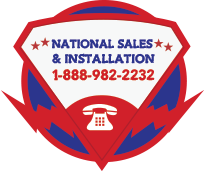 Call 888-982-2232, request a quote, or order online today. This entry was posted in Main on March 30, 2016 by American Playground Company.